This year is a big year for what the real birders call "winter finches". 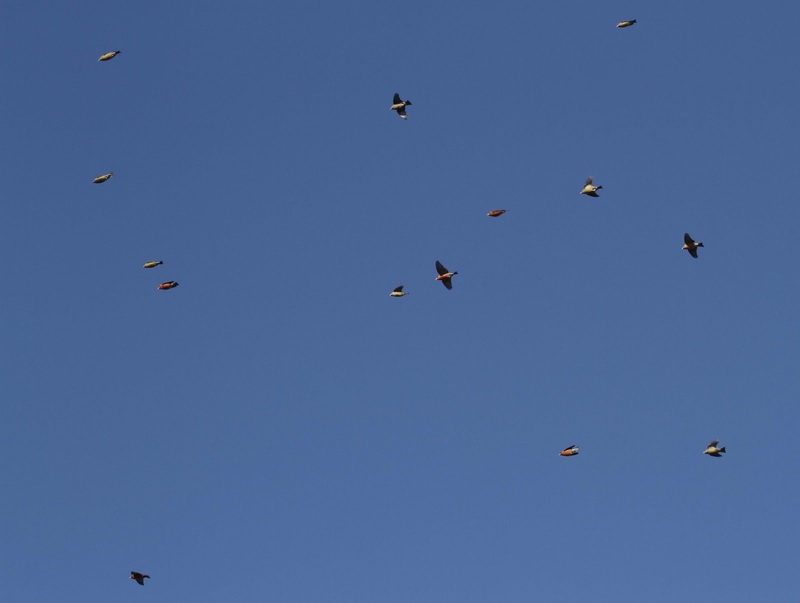 These finches are birds that usually do not migrate south thorugh the US like other birds because they can survive up north by eating pine cone seeds. That is not the case this year. 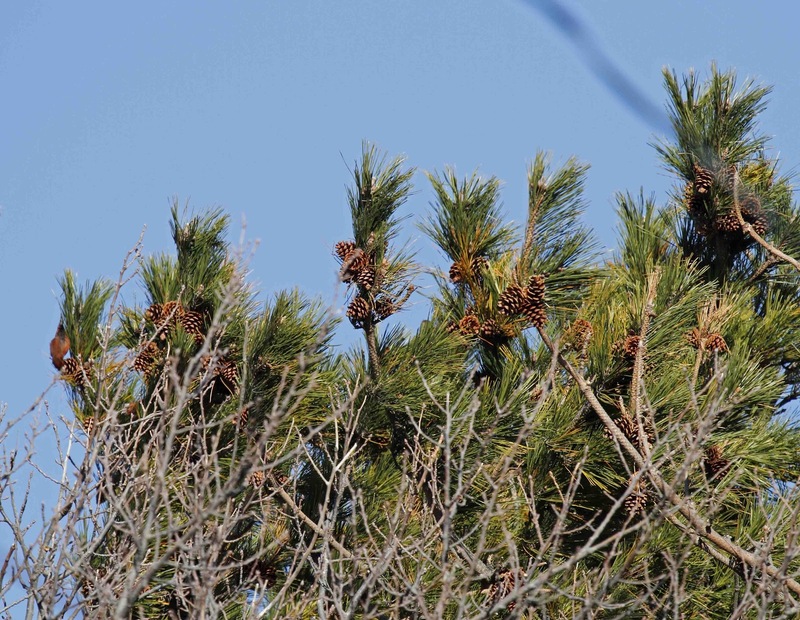 This year, the pine crop failed up north which is driving the birds south to find food. 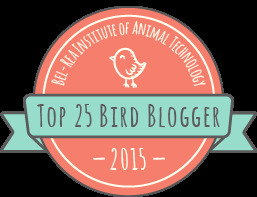 This is good for us birders since we get to see these birds without having to show a passport! Well as you know, I attempted to organize an early morning outing to Hammonasset Beach State Park in Madison to look for the Canadian elusives, however, two stalwart fishermen and sometime birders, proffered very lame excuses and gave their regrets. Not to be daunted by this woeful lack of participation, I went there alone, leaving North Stonington at 6:45AM and arriving at Hammo at 7:50AM or so. I studied the map and found my way to the Japanese Black Pine forest at West Beach, which has been mentioned in the COA List as a place with frequent sightings of Red and White-Winged Crossbills and Redpolls. It was cold and windy and I spent about 1 and 1/2 hours getting chilled to the bone and only seeing a few sparrows and some chickadees. I then spotted a group of birders about 1/4 mile away opposite West Beach who were running along a salt marsh inlet and carrying scopes and equipment that made them appear that they knew what they were doing. I drove to their area and ran after them but lost them in the tangle of the marsh and undergrowth. I did flush a Rail and was unable to identify it. Sora? It was now 10:05AM and I had allowed myself until 10:30AM because we had a brunch invitation in Stonington at Noon and it takes an hour to get back to North Stonington. 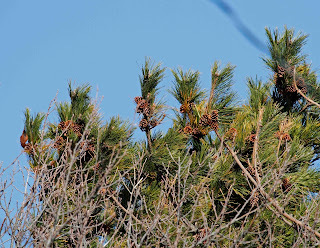 I slowly drove back to the West Beach Pine forest and saw a small flock of unidentified birds arriving and perching in the top of the Black Pines. I noticed that real Birders like real fishermen spend a lot of time cruising around in cars or boats looking for birds and fish. 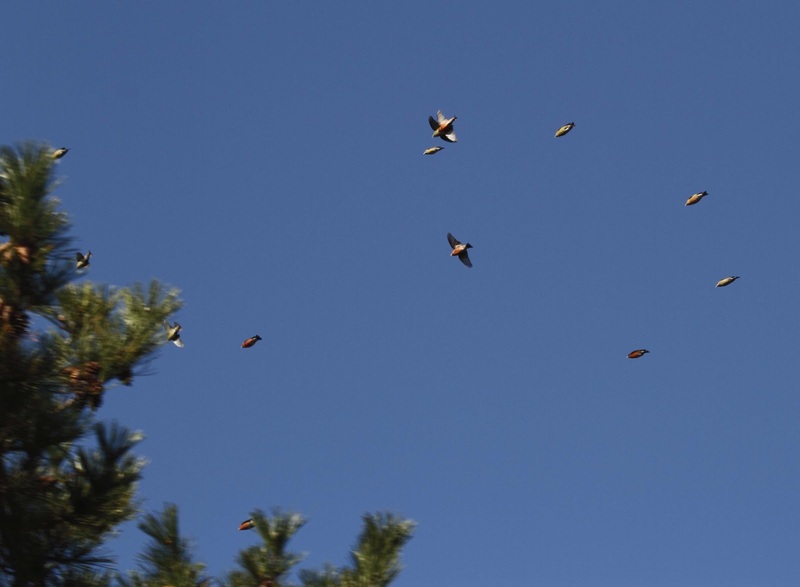 All of a sudden birders appeared out of nowhere converging on the Japanese Black Pine forest. Most of them had binoculars to their eyes and were running, some had scopes and a couple had cameras with 4 foot long (it seemed) telephoto lens. (A good friend has such an outfit!) I knew something was happening and happily ran to join them. With their help and narration I saw a White-Winged Crossbill (It was rather fluffy and sitting in the top of one of the wind blown pines eating pine cone seeds). Then a tall lanky older man who was running with the scope (who could have been the twin brother of the late Earl Chronister, a good friend of mine from our cabin in Potter County Pennsylvania) told me to come and see the pair of Red Breasted Nuthatches in some neighboring pine trees, which I did..
For the frosting on the cake, an older but rather trim woman came up to me and said "I'm Toby, what's your name, and did I want to have coffee after birding". I had to give my regrets because of the damn brunch invitation, but did take an extra blood pressure pill in the car. I had just enough time to make a brief visit to the Meigs Point Nature Center where the Naturalist asked if I had time to look at some birds in the marsh from the Center's Parking lot. Regretfully I did not because of the impending brunch , but he said with some authority that there were, Snow Buntings, Lapland Larkspurs, and Horned Larks. So I drove home quite contented with myself, however, I neglected to get Toby's telephone number. So you see what fun birding can be and maybe the recalcitrant invitees will think twice about refusing the next time. Diane, Barbara and I spent Friday, Saturday and most of Sunday miserably replacing the porch floor in the Green house. It was physically and mentally exhausting work which took longer than we ever dreamed (naturally). I told both of them that work would cease if we got a text message about Crossbills. Well, we finally got a text on Sunday morning. Di was at Lowe's (again) picking up more supplies. Barbara and I were just about to start some mind-numbing task when the text came in. Off we went to Cape May point in search of our own Canadian elusives. By now you know that Crossbills come in 2 species - Red and White-winged. Red was the bird that was seen. We met the guy who sent the text. He told us that the birds flew off into the neighborhood. We drove along the street closest to the dunes looking and listening. Then, just like Frank, we saw other birders walking down the street with binoculars up to their eyes. This is not recommended as it could result in injury, by the way. Anyway, we saw a flock of birds flying really high and they definitely sounded like Crossbills. Then, they flew out of sight. Dag nabbit! We drove some more, and miraculously came across the same flock of birds flying above us. I got this photo just in the nick of time. You can see the red adult males and the yellow/tan youngsters and females in this shot. 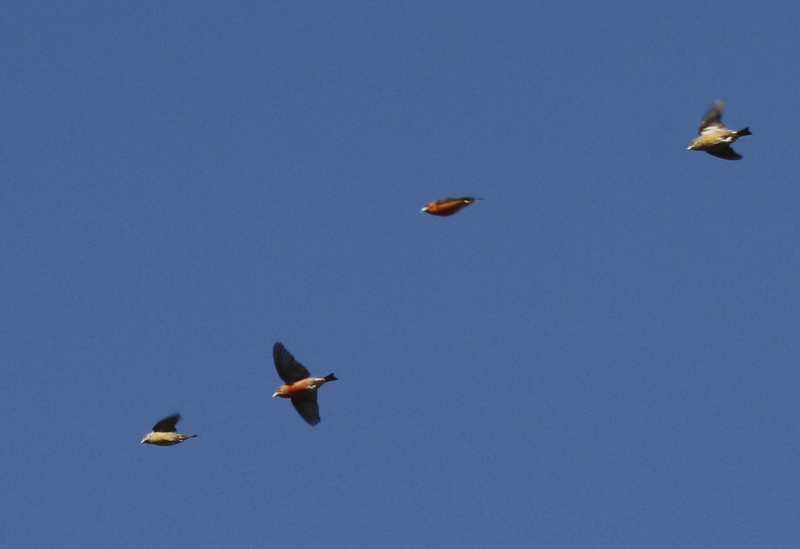 Here is the same photo, cropped so that you can see just the 4 birds in the center. You can kind of make out a weird bill on a few of them. They landed in a big pine tree - and completely disappeared! How can 30 noisy birds land in the tree right in front of us and disappear? Still can't see them? 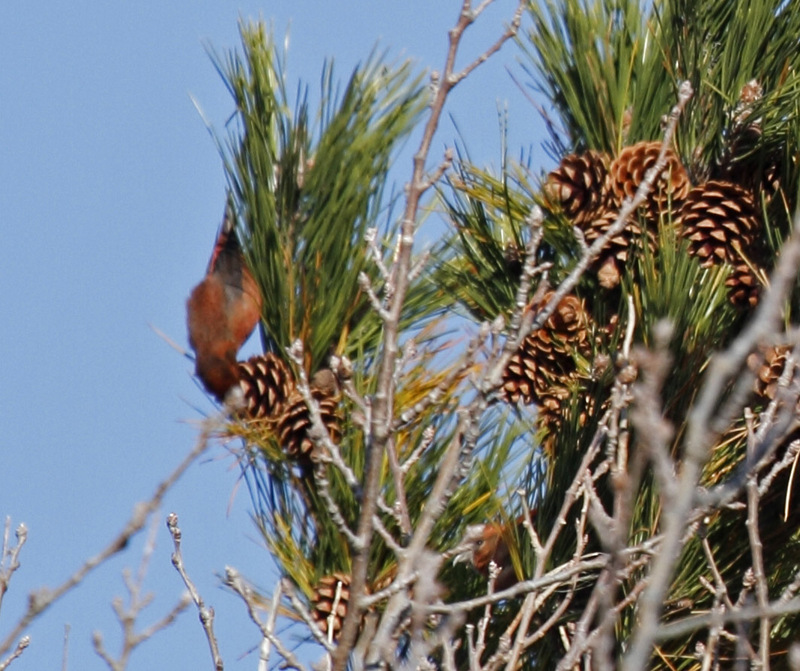 One is hanging upside-down on the outer edge of the pine needles with his face in the pine cone. The other is obscured by the bare branches. You can just see his face poking out between the 2 pine branches at the lower part of the photo. 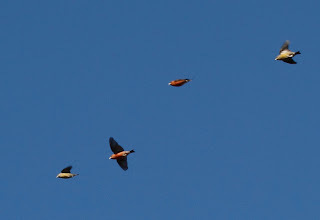 And, if you zoom in, you can see the actual crossed bill that gives these birds their name. 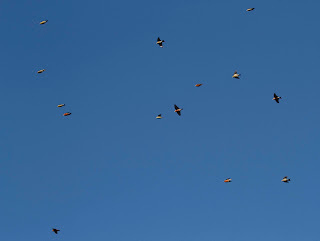 Honestly, it was torture to see 30 birds land and not be able to get a good photo of any of them. So, 2 friends from 2 states saw 2 different crossbill species on the same day. Pretty good. Woohoo! Yay for my bad knee, got me good looks at a life bird!